Somerset will welcome an initial six refugee families next year as part of a national programme to support those fleeing war-torn Syria. The UK Government has pledged to settle 20,000 Syrian refugees over a five year period, including 1,000 in the first group, and has sought volunteer councils to offer resettlement. Somerset is not a current asylum dispersal area so many organisations which would support refugees have no presence here. However, there is a desire to help from within the community, local authorities and health. 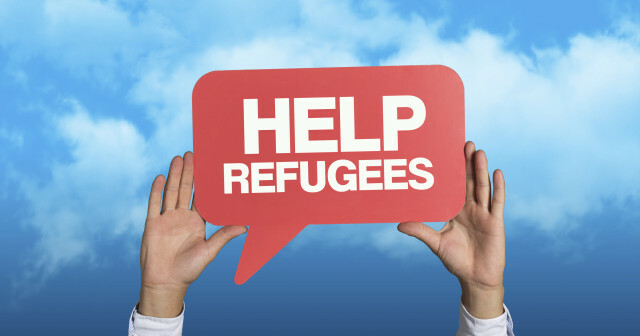 Like their counterparts across the UK, Somerset’s five district councils, County Council and Clinical Commissioning Group (CCG) have been considering how together they can play their part through the Syrian Vulnerable Persons Resettlement Scheme (SVPRS). They have agreed to welcome an initial group of six families in the spring, with the potential for more to arrive in the future. A similar approach is being adopted in other parts of the region. The scheme is fully-funded by the Government and families will be housed in the private rented sector, having no impact on housing waiting lists operated by district councils. Families will only be resettled where the services, such as school places, health and social care, have the capacity to cater for them. No decisions can be taken about locations until more is known about the families and their possible support needs. Initial discussions have highlighted Mendip, Taunton Deane and South Somerset as the most likely host areas, but all districts continue to be actively involved in discussions and planning. Community groups have been included in discussions and this will continue, but initially it is the statutory authorities who need to arrange housing, health, education, benefit income, individual family support and interpreters. Somerset County Councillors Anna Groskop, Cabinet Member for HR, Health and Transformation; and Frances Nicholson, Cabinet Member for Children and Families, jointly confirmed the County’s support for the resettlement scheme. “We take pride in being a warm and welcoming county where people from all backgrounds have the opportunity to thrive. This has been a real cross-organisation, joint effort and I’m delighted we are doing our bit to help those in desperate need. All refugees will be subject to medical checks and enhanced, national-level security vetting before entry to the UK. Details of where the families are resettled will not be given so as to protect their privacy.